Jack Menashe has lived in Seattle for sixty-eight years… Jack attended Franklin High School, Highline College, and The University of Washington. Jack's beginning and mentoring from the jewelry world was through his uncle Mark Rose, who worked for Weisfields in South Center. He asked Jack to work for him in the 60’s. 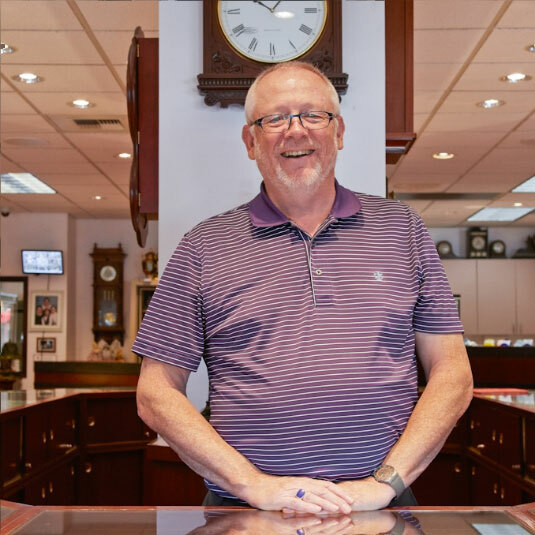 Jack started as a box-boy reorganizing the back room at sixteen years old. In his spare moments he would listen to his uncle sell to customers… Soon thereafter listening to his uncle, Jack knew sales had been ingrained in his DNA. Jack has always been honest and has a kindness toward people and community. His motto is: treat people with honesty and respect. Jack has four grown children, three sons, one daughter, and twelve grandchildren. He loves the community he is so heavily involved with, his church, Seattle Lutheran High School, and donating to all local auctions and events. Two out of Jack’s four children are jewelers, the oldest, Joshua, is his right hand man and his daughter, the youngest, Joanna. Jacob, his second oldest son is a realtor, and Jack Jr. is a teacher at Seattle Lutheran High School. I have now been working here with my dad for 25 years. I love this business, designing, and the art of buying and selling. Most of all I love people and love to make them happy. A first time or long time returning customer, we want you to have the best experience in designing and creating your one of a kind jewelry. My wife and I have 3 beautiful children and love being involved in this community. My career at Menashe & Sons started as a young girl, helping my dad during Christmas and street fairs. I have been working with my dad and brother at the store for over ten years. I love all of our customers and have a passion for the community. I have been a faithful employee working with Jack for over 30 years. I am very knowledgeable in all areas of the store. I also change watch batteries and complete small jewelry repair work. I am a West Seattle native and raised my family in the community. I have been part of the Menashe team since 1990. I am the operations manager where I provide administrative support and keep our office running smoothly. I enjoy working with customers, the community, and find joy in spending time with my grandchildren. I moved to West Seattle in elementary school, left for college, and came home. I love being a part of this wonderful community; I call it the little town in the big city. I grew up with Joanna Menashe where her loving family quickly became my second family. I have been a member of the Menashe team since 2007 and absolutely love what I do. After a few years of studying at the GIA, I have completed my Graduate Gemology degree. My responsibilities include: appraisals, online marketing, and social media manager. The best part of my day is seeing my customers smile! I was born and raised here in West Seattle, and am now beginning to raise my family in this great community. 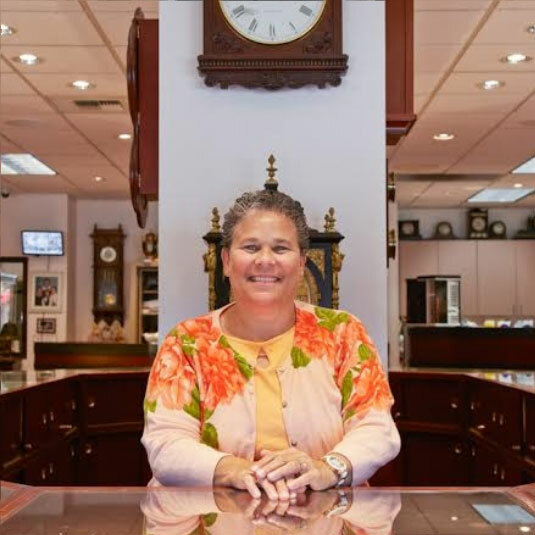 After spending a few years working with kids as a teacher, as well as helping at the jewelry store for special occasions, I decided I love working in this small family business and to make it my career. It's a joy to help customers and hear their stories! I have been a resident of West Seattle, since April 2015. Previously from Pensacola, FL. Myself, my husband and three boys, are thoroughly enjoying the West Seattle area, the mild weather and its friendly people. 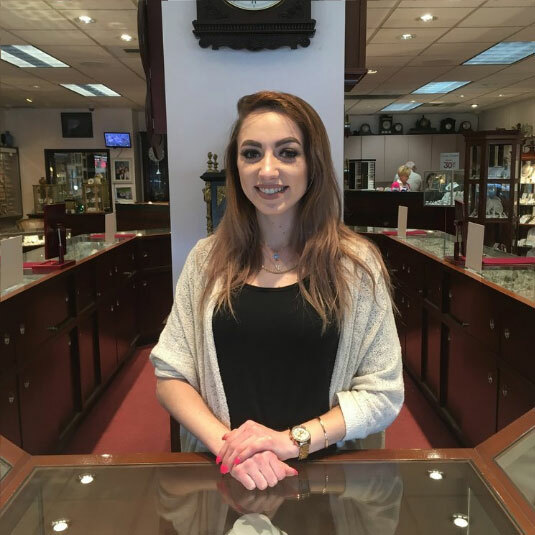 I love my position, as a sales associate, at Menashe & Sons and enjoy learning about the business from my fun-loving, knowledgeable co-workers. I am one of the newest member of the team, and am currently attending the Art Institute of Seattle in the Industrial Design Program. As well as helping customers shop, I help provide photography for our website, billboards, and do concept design sketches for some custom design. Hi there! I’m also one of the newest employees, working part-time with this awesome team. I am a Seattle native, UW Alumn, nanny, and gemstone enthusiast. In my spare time I love reading, going to concerts, ballet, and practicing yoga.